Exciting News for Boat Owners! There’s a buzz at Thornham Marina and this little bee wants to tell you why! We have introduced an all-inclusive winter package which could save you hundreds of pounds and will give you more for your money! All you have to do is call 01243 375 335 to book your space. FREE SUMMER SCRUB between May – August! Worth up to £300! Entry in to our free prize draw if deposit is received. The lucky winner will receive their winter package absolutely free of charge (worth hundreds of pounds)! Free trailer/cradle storage if you return to us the following year saving you up to £450 during the summer! Don’t get caught out in the storms this winter! Call 01243 375 335 to book your space NOW. The winter of 2013/2014 has proved to be one of the worst for many years. With winds up to 70 knots, the pontoons and all yachts, on the water and on land, have been tested. My time on land was totally uneventful, with the team keeping a careful watch. With new people arriving this year, our community grows and thrives. To have a new boat owner comment that he is not used to someone being on a pontoon to take a line says much for the atmosphere created in this special marina. Now for another sailing year in and beyond the best harbour and marina on the south coast. 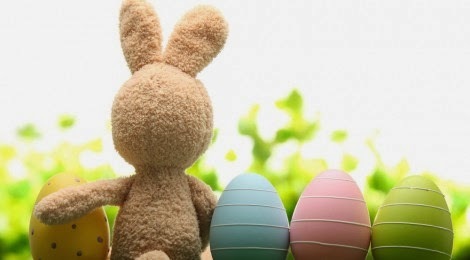 The office will be closed on the following days during the bank holiday weekend. We hope you all have a fantastic bank holiday weekend! 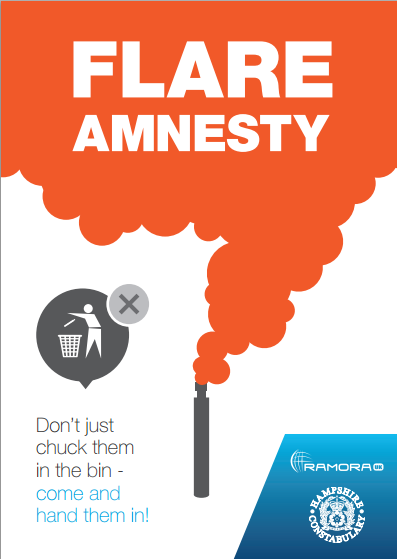 Flare Amnesty - Don't Just Chuck Them In The Bin, Hand Them In! 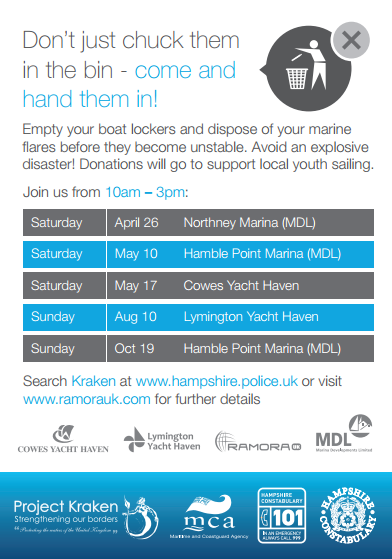 Hampshire Constabulary Marine Unit in conjunction with Ramora UK, one of the UK’s leading bomb disposal companies and the below marinas are offering "a distress flare amnesty" for private boat owners. The disposal of out-of-date flares is a growing problem for boat owners who face severe penalties if they fail to follow the correct procedures. Out-of-date flares can be delivered to the following sites in Hampshire & the Isle of Wight. The service will be between 1000hrs & 1500hrs on the above dates and will be in conjunction with open days/boat shows already taking place at the venue. Up to ten flares per private individual will be accepted free of charge however the Hampshire Constabulary Marine Unit will be asking for a charitable donation. Previous other events have charged £2 per flare. Disposal of quantities greater than ten will only be possible by prior agreement. Over the year they hope to raise enough money to buy a sailing dinghy(ies) which they will then donate to a sailing club(s) for the use of young people who would not normally get the opportunity to experience the sport of sailing. For further information please contact Hampshire Police Marine Unit via their email marine@hampshire.pnn.police.uk. April fool’s Day is an informal holiday celebrated each year on the 1st of April. Although it is not a national holiday, it is widely recognised and celebrated in many countries as a day for practical jokes & media hoaxes. Traditionally in the UK, the joking ceases at midday and any person playing a joke after midday is an ‘April’s fool’ themselves. 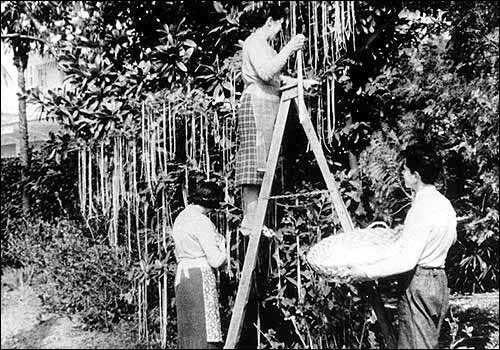 Spaghetti Tree’s - The spaghetti-tree hoax was a three-minute hoax report broadcast on April Fools' Day 1957 by the BBC current-affairs programme Panorama, purportedly showing a family in southern Switzerland harvesting spaghetti from the family "spaghetti tree". At the time spaghetti was relatively little-known in the UK, so that many Britons were unaware that spaghetti is made from wheat flour and water; a number of viewers afterwards contacted the BBC for advice on growing their own spaghetti trees. Decades later CNN called this broadcast "the biggest hoax that any reputable news establishment ever pulled." 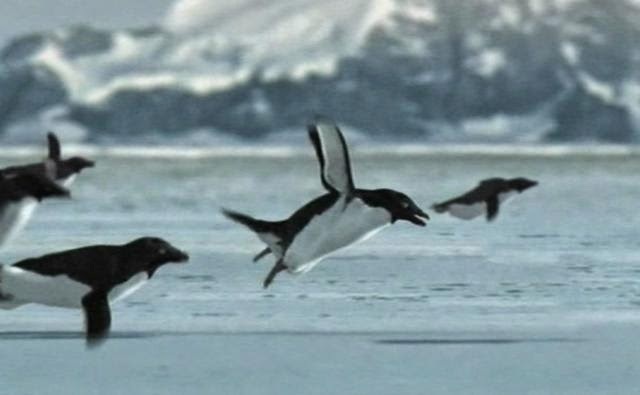 Flying Penguin’s - Flying penguins or Miracles of Evolution is a BBC film trailer made in 2008 as an April Fools' Day hoax. The film was advertised as compelling evidence for Charles Darwin's theory of evolution. It was largely set on King George Island which is 75 miles from Antarctica. The BBC website still claims that it may attempt to film the flying penguins again because the original film did not explain how such small birds that are not used to flying, could survive long migrations over vast, stormy oceans. Miracles of Evolution was filmed with animated penguins for the occasion of April Fools' Day, and to promote the BBC iPlayer. Square Egg’s – ITV’s Daybreak presenters tried to fool the nation this morning with an interview from a Freedom Food Farm which has become the first in the world to rear chickens that can lay square eggs. While the shape makes it convenient for eating, it also means making egg sarnies has become even simpler. Have you been fooled today? 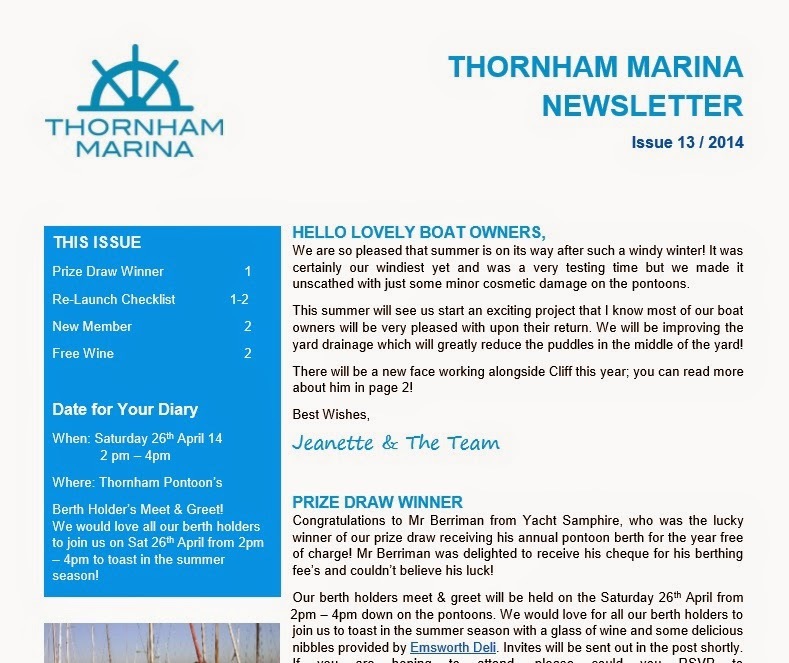 Send in your best April fool’s pranks to info@thornhammarina.com !